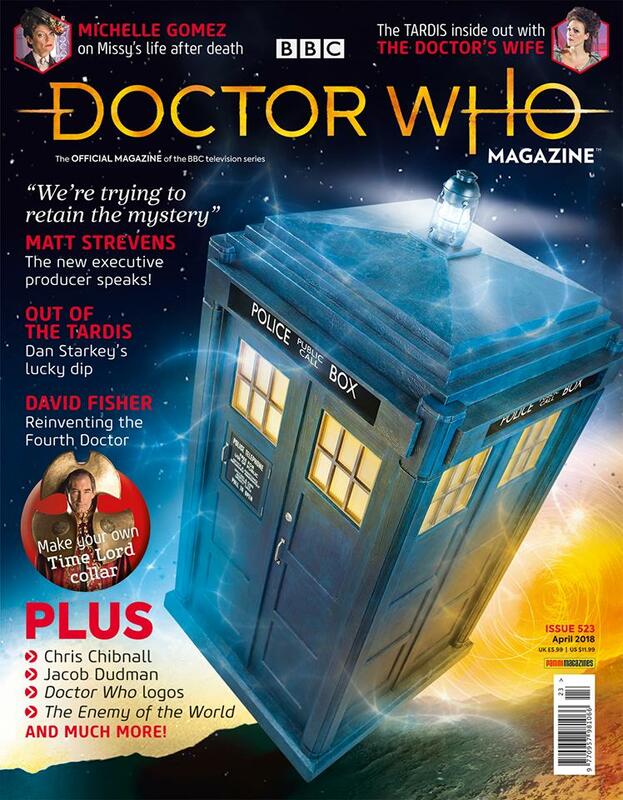 There’s a new DWM out this Thursday, 8 March 2018! Issue 523 includes exclusive interviews with new executive producer Matt Strevens and Michelle Gomez (Missy). Out of the TARDIS returns with Dan Starkey who plays Strax, everyone’s favourite stroppy Sontaran. The new magazine is the first to feature the exciting new Doctor Who logo.